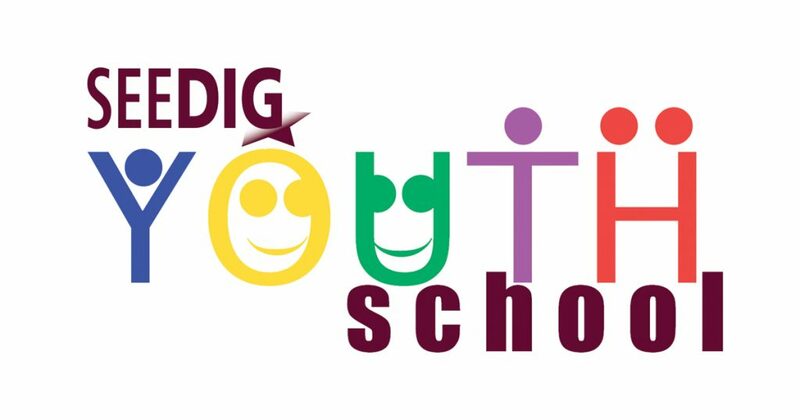 The SEEDIG Youth School is a capacity development initiative targeted at students originally from, or residing in a country in South Eastern Europe and the neighbouring area. The purpose of the programme is to offer regional youth a space to learn, network, exchange ideas, and prepare to actively participate in SEEDIG and other Internet governance processes. Another goal is to encourage more youth to become long-term contributing members of SEEDIG and broader Internet governance and digital policy processes. What does the SEEDIG Youth School offer? Once selected for the online phase, you will start your Youth School journey by taking an online course that will introduce you to the world of Internet governance. The course – part of the Internet Society's 'Shaping the Internet: History and Futures' programme – will include online materials, assignments, and online meetings spread over several weeks. During this phase, you will get to know your peers and learn the basics of Internet governance, digital policy, and related topics. If these terms sound vague or fancy, don’t worry! Together we will dissect the jargon and see what these concepts really mean. You will also learn more about SEEDIG and other Internet governance processes across the region and the globe. Most importantly, you will become more equipped to meaningfully participate in initiatives such as Youth and national Internet Governance Forums (NRIs), SEEDIG, EuroDIG, and the global IGF! Based on your performance in the mandatory online course, you may be selected to continue the programme. During this extension of the online phase, you will be able to take additional modules of the Internet Society course or an online course provided by the Internet Corporation for Assigned Names and Numbers (ICANN). There will also be a few online meetings, some which run in conjunction with EuroDIG’s YOUthDIG programme, so another opportunity for you to get to know and interact with more people! This event, to be held in Bucharest one day before the official start of SEEDIG 5, will be reserved to a smaller group of students, selected from the initial class based on the contribution to the online phase. If you are among those selected for this phase, you will get to meet the core team and key community members of SEEDIG. You will also get a chance to explore in-depth at least one of the topics that will be discussed at SEEDIG 5 – at your choice. All this through lively debates, simulations and other exercises we will prepare for you. The outcomes of your discussions, as Youth School 2019 students, will become your contributions to the annual SEEDIG meeting. So you will be all set to join discussions on regional and global digital policy! After your dedicated pre-event, you will then be among many other actors – from SEE+ and beyond – who will share their views and experiences on various Internet-related topics at the two-day SEEDIG annual meeting. Once in Bucharest, all you have to do is to raise your hand and make your point. The following students were selected to participate in the second phase of the Youth School. The following students were selected to participate in the online phase of the Youth School. You can contact the organising team at ysteam[at]seedig.net.